Fairfield, ME – Thomas H. Kimball, 69, passed away unexpectedly, on Saturday, January 27, 2018 at Maine General Hospital. He was born in Biddeford, ME on March 22, 1949 a son of William H. & Jean L (Taylor) Kimball of Lyman, ME. He grew up in the Biddeford/Saco Area, attending local area schools and graduated from Thornton Academy. He then went on to achieve his Associated Degree in Culinary Arts from Southern Maine Technical College. 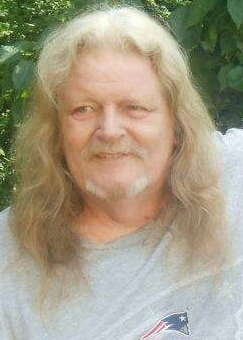 Tom held various jobs throughout his life as a chef and a substance abuse counselor until retiring for medical reasons. Cooking was his passion; he was always ready to create a superb meal for his family. He also enjoyed Fishing and being in the great outdoors of Maine. Along with his parents he is survived by four daughters Marianne Rines and her husband Joe of Biddeford, Laura Rowe and her husband Patrick of Iron Station, NC, Bethany Kimball and Heather Kimball both of St. Augustine, FL. He is also survived by eleven grandchildren Joey, Brian, Lily, Paden, Blake, Genesis, Heidi, Kyle, Kylee, Hoke and Henry as well as one Brother, Steven Kimball and his wife Sheila of Houston, TX. He was also the father of the late Donna Myers, who died in 2015. Relatives and friends are invited to attend a celebration of his life on Wednesday, January 31, 2018 at 11 a.m. at Grace Point Church, 50 Adams Street, Biddeford, ME. Burial in Woodlawn Cemetery, Biddeford, will be held during the Summer of 2018.